When designing the Caiigo pendant lamp, the Italian designer Marco Zito got inspired by the Venetian fog. This is reflected not only in the name – Caiigo means ‘fog’- but also in the design and the light output. The hand blown lampshade is characterised by a composition of transparent and milky glass. This creates an interesting colour gradient, which slightly varies due to the production by hand, making it a real unique piece. Through the lamp shade comes a diffuse, gentle light while at the same time a wider cone of light beams down, which is ideal for the lighting of dining room tables or desks. 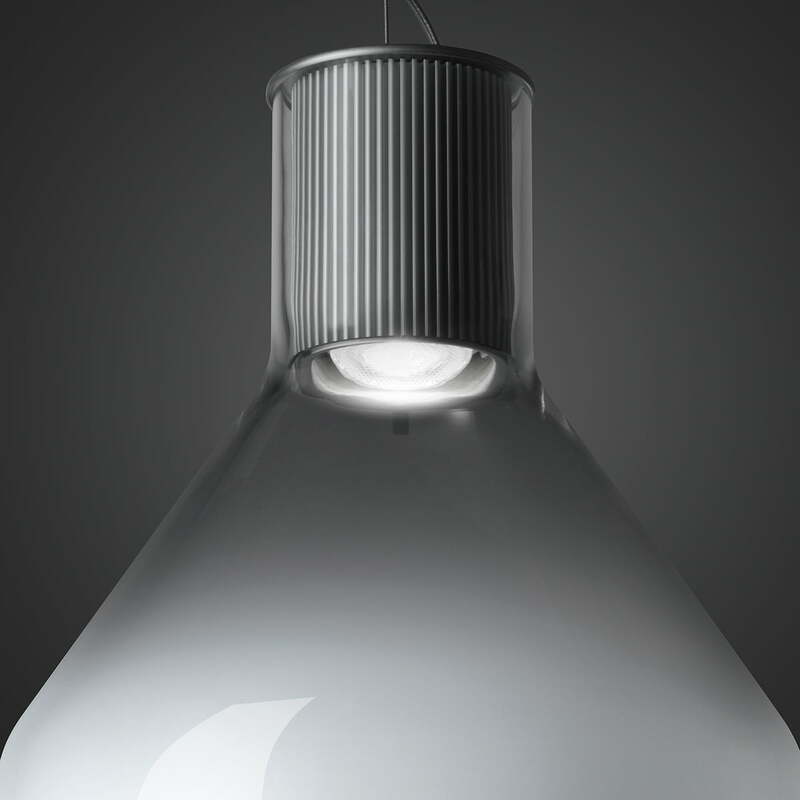 The bulb is hidden in a cylindrical holder made of aluminium, which also elegantly holds the suspension. 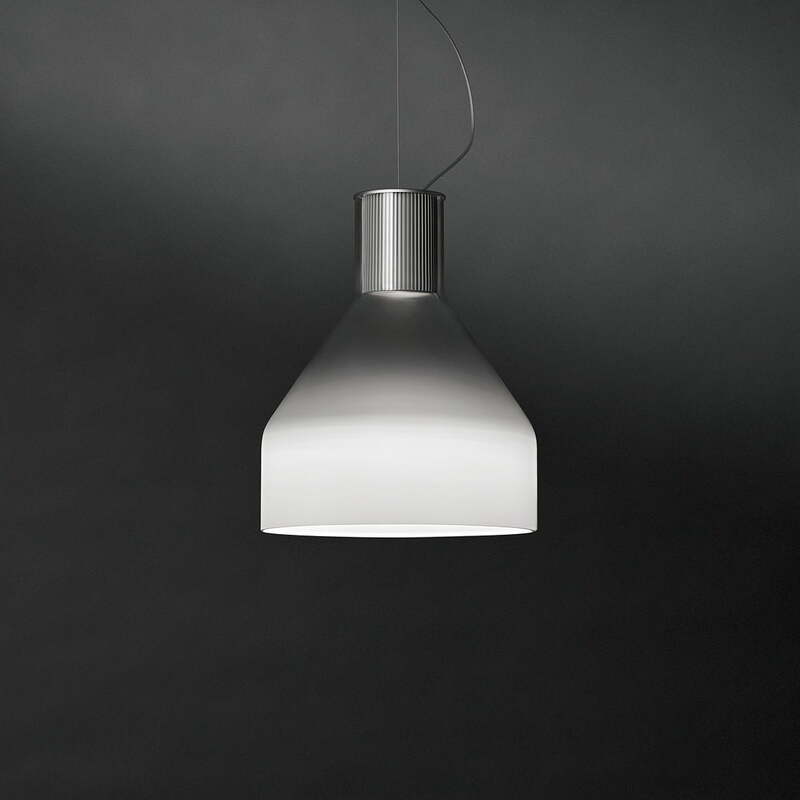 Individual image of the Caiigo pendant lamp. Inspired by fog the designer Marco Zito designed a lamp that ensures a soft, diffused light by white and transparent nuances in the glass. 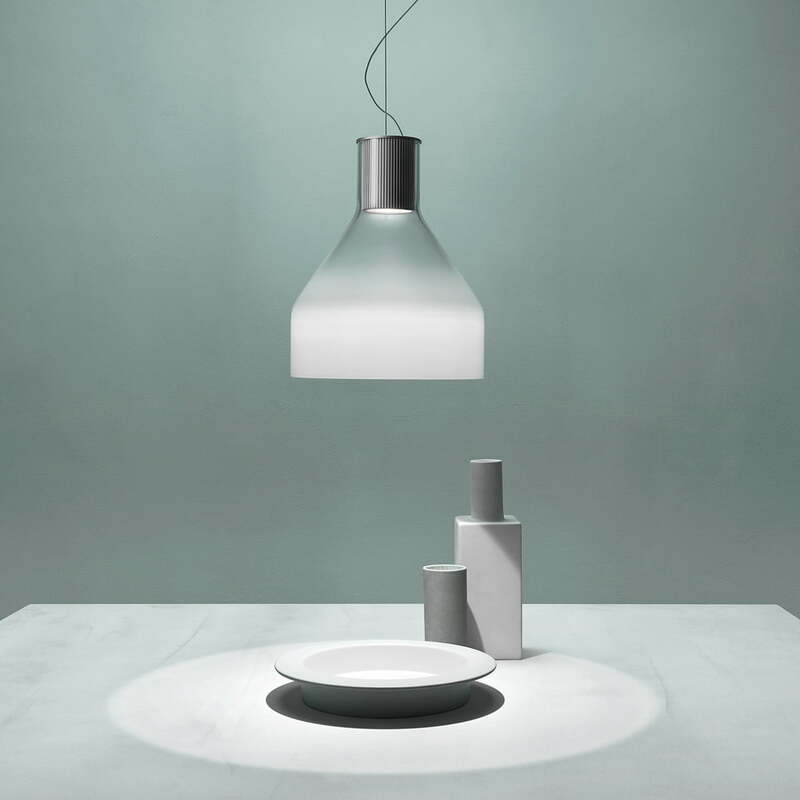 Ambience image of the Caiigo pendant lamp by Foscarini. Gentle light comes through the milky - transparent lamp shade and creates a pleasant atmosphere. Detail view of the Caiigo pendant lamp. A holder made of aluminium holds the bulb and provides for the suspension at the same time. Also stylistically glass and aluminium complement each other very well. Ambience image of the Caiigo pendant lamp. While diffused, soft light shines through the lampshade, a wider cone of light, which illuminates the dining table or work area comes through the bottom.